This month’s first broccoli recipe of the month and it’s a delicious one. I love a good hearty soup, even in the warmer months. 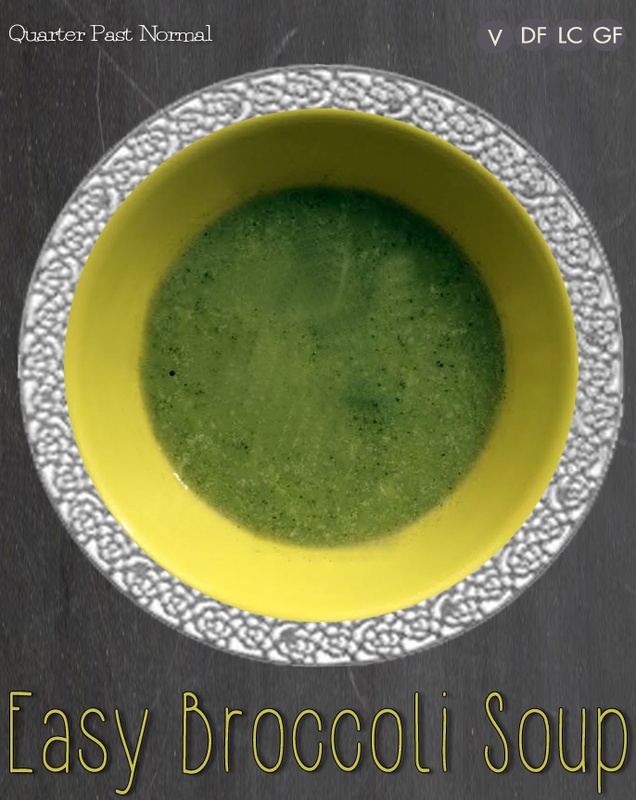 This broccoli soup was very easy to make and I love it because it utilizes the whole broccoli. There’s no waste in this recipe. Did you know that the stem of the broccoli is total edible and is packed with vitamins and minerals? Those suckers have great flavor too! You can add cheese, bacon and green onions when you serve this and it will bump it to a whole new level.